Patricia F. Meadows joined Kelly Hart & Hallman in 1980 and is a partner in its Real Estate Practice Group. Over the course of her career, Ms. Meadows has assisted the firm’s clients on numerous commercial real estate acquisitions and developments, especially as the responsible real estate attorney for several major projects spurring the redevelopment of downtown Fort Worth. Ms. Meadows has handled the purchase and sale of major office buildings, hotels, and shopping centers, and has assisted clients on a wide variety of real estate development issues, with a special focus on office and retail commercial leasing. Ms. Meadows also has been involved in several matters involving the acquisition and sale of ranch properties, together with operational issues involving the use of those properties. Texas Monthly magazine has recognized Ms. Meadows numerous times as a Super Lawyer. She has been honored as an “Attorney of Excellence” and a “Woman of Influence” by the Fort Worth Business Press and is listed in The Best Lawyers in America. 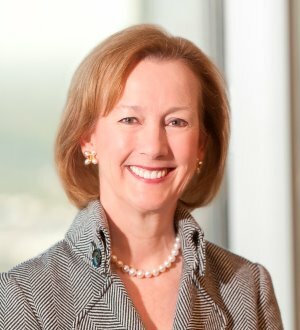 In addition to her professional career, Ms. Meadows' current and past volunteer board and officer positions include Historic Fort Worth, Inc., National Cowgirl Museum and Hall of Fame, University of North Texas Health Science Center Foundation, Texas Ballet Theatre, Fort Worth Country Day School, Corporate Champions for Children, First Texas Council of Camp Fire, Leadership Fort Worth, Junior League of Fort Worth, and YMCA of Metropolitan Fort Worth. Listed in The Best Lawyers in America, Woodward/White, Inc.